This article is 2621 days old. 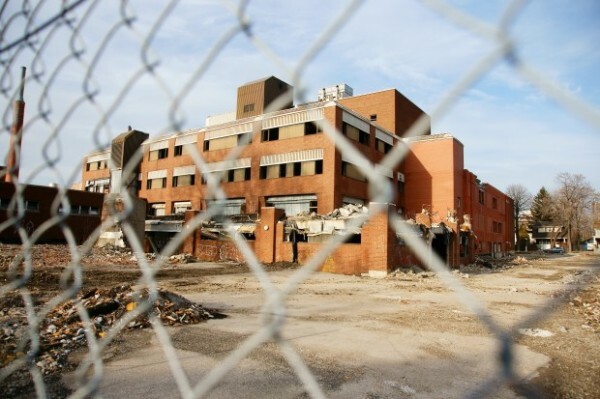 The City of Windsor has released a report on the future of the Grace Hospital site and City Administrators are recommending that the building be secured for safety at a cost of less than $10,000. Building officials from the City visited the site in early February and had reported back that not all outstanding orders on the property have been remedied. This included removal of construction debris on all floors, and securing all exterior entries to the building. Mayor Eddie Francis, in a media event two weeks ago, said progress has been made on the property, but not to the satisfaction of the building department. Mayor Francis said there will be no more extensions of building department compliance orders. Three additional options were presented by City Administrators; including giving the owners of Grace Hospital an extension to complete work until March 9th; to demolish the property or to wait for the building to be sold through a tax-sale. The city says that a total of $847,400 in tax arrears are owed on the site and the City can legally sell the building as of June 29th of this year. The estimated cost to demolish the buildings is in the range of $2 – $4 million. The report will go to City Council for a final decision on Tuesday.